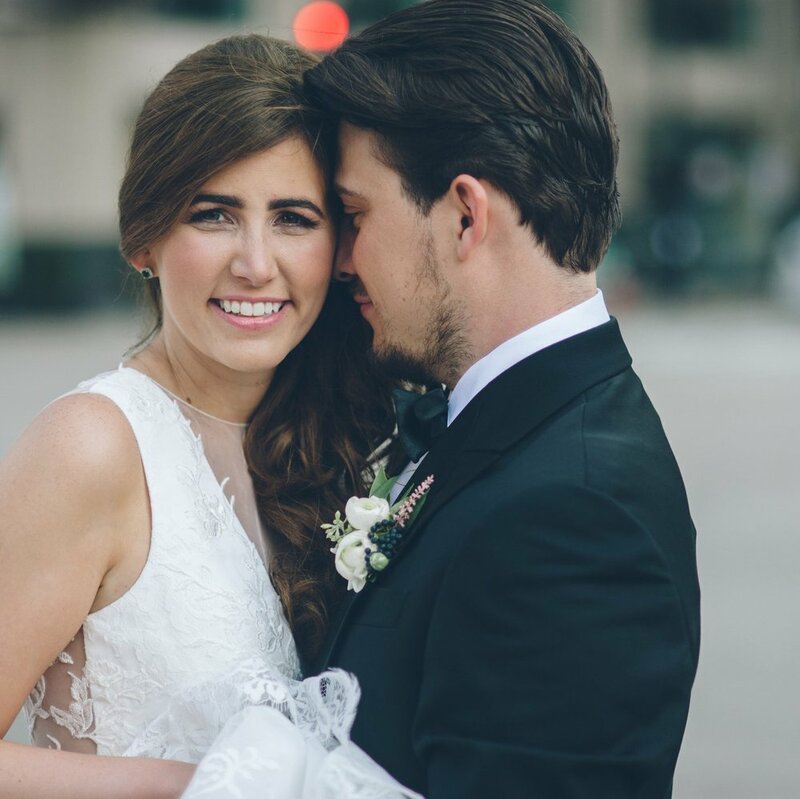 Anna was the happiest bride we've EVER had the pleasure to work with. Then again, when a wedding planner has the privilege to coordinate a college roommate's big day, we consider ourselves pretty lucky. And we end up pretty darn giddy ourselves! Anna is incredibly sweet and genuine. And Pete is an amazing compliment to her. Anna and Pete wanted a classic, timeless, romantic wedding look (her dress was actually the premise for the entire "feel" of the day), which we feel they really accomplished with the soft creamy white florals, lush foliage and succulent accents. The bridesmaid's dresses were the softest shade of mint we've ever seen- and SO adorable. Anna's first look with her dad made teary eyed. It so such a sweet moment of surprise and you can see the pride in his eyes. The couple is very family oriented and made them a priority in the planning and picture taking! One of the best moments of the day for Anna was walking down the aisle (to Cannon in D) with her dad and seeing Pete waiting for her at the end. Anna's advice to other brides? Everything will be okay :) I was stressed before the wedding and kept worrying about everything coming together the way I had pictured it. We had an amazing wedding planner, so I really had no reason to be concerned. I think it was a combination of nerves and excitement, but I had a hard time relaxing in the days leading up to our wedding. Just trust your gut and remember, the day is about you and your future hubby. Do whatever will make you happy. We're sharing more of our favorite pics on Instagram too! Be sure to follow along!